Congratulations to this year’s winners! The Pennbrook Baking Club is an after school club for middle school students. Its purpose is for students to practice baking skills, raise money for charity and have fun! 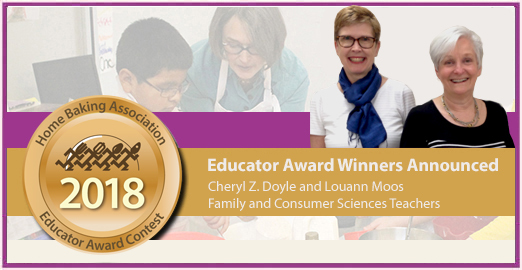 HBA members will meet Cheryl Doyle and Louann Moos at the Home Baking Association Annual Membership Meeting, September 30 – October 2 at the Resort at Squaw Creek, Olympic Valley, California.